Because we can't always rely on the British weather, we like to look at pictures of sunny destinations. We're partial to places with long days of sunshine, idyllic islands where it rarely rains and even ski resorts where we can wrap up warm while catching a few rays. The islands of Kiribati in the Pacific Ocean are some of the sunniest islands in the world. They straddle the Equator and are located close to the patch of the ocean that absorbs more rays than any other piece of water on Earth. Lie on the white sand beaches, try your hand at world-class fishing and visit the numerous WWII ruins, all while soaking up the sunshine, of course! With over 300 sunny days per year, Andalucia in Spain is one of Europe's sunniest destinations and a centre for 'sun and sand' tourism. The region sees 12 hours of sunshine a day in July, its sunniest month. Ecija in Seville is known as 'The Frying Pan of Andalucia' as it records the highest summer temperatures in Spain. In the winter, Seville, Andalucia's capital, experiences just seven to eight days of rain too, leaving plenty of clear weather and around six hours of sunshine a day. Looking to hit the ski slopes AND top up your tan? "One of the best places for sunny skiing in Europe is on the Sierra Nevada in southern Spain," says Leon Brown at The Weather Channel. "The resort is 3,400 metres high and often above the clouds! On a clear day you can see the Atlas Mountains to the south in Morocco." With the mountain range located in Andalusia, you can enjoy a high number of sunny days in the winter and ski under blue skies with warm temperatures in the morning, before heading for the beach and sunbathing in the afternoon. It's no wonder Sierra Nevada has been dubbed the world's sunniest ski resort. With its vast desert landscapes, it's no surprise that the Middle East is a seriously sunny spot on Earth. The Weather Channel's Leon Brown says: "Globally the sunniest places and resorts all year are Dubai, Muscat and resorts in North East Oman, Abu Dhabi, Bahrain and Kuwait with 13 to 14 hours of sunshine in the summer and 10 hours in the winter." Abu Dhabi (pictured) sees 3,609 hours of sunshine a year. Not only is Las Vegas one of America's sunniest spots, with the sun shining 85 per cent of daylight hours, it also has an average of 210 clear days in the year and sees little cloud, with only Phoenix and Yuma, both in Arizona, enjoying more clear days. Las Vegas has an annual average of 3,825 sunshine hours and when the sun finally goes down, there's the famous nightlife to enjoy and countless casinos to visit. The sunniest month of the year worldwide is May and Eureka on Ellesmere Island, northern Canada sees the most of the sun, with an average of 16.5 hours of sunshine a day throughout May and 512 hours during the month. But you may not want to visit this icy destination for a summer getaway as the average temperature in May is -7C! Alert, also in Ellesmere, sees the most sun during April with 377 sunny hours a month and 12.6 hours a day. With it being so far north, the daily hours of bright sun account for just 55 per cent of Alert's daylight. With up to 10 hours of sunshine a day and 3,863 hours a year, Aswan in Egypt is one of the planet's sunniest places. July is when you'll see the most sunshine in Aswan and there's 375 hours of it to enjoy. Set on the East Bank of the Nile, you can stroll along the Corniche, eat freshly-caught fish in one of the floating restaurants and visit ancient temples. Alice Springs in Australia’s Northern Territory experiences an average of 146 sunny days a year, as well as 10 hours of sunshine a day during summer. The best part is that the Australian summer is our winter so you can enjoy temperatures of up to 36C in January while your friends at home are wearing their woollies! Leon Brown at The Weather Channel says Alice Springs sees up to 14 hours of sunshine in the summer months and up to 10 in the winter. Ok, so we know the UK is nowhere near one of the world's sunniest places but we know you're wondering which part of the British Isles does see more sunshine than others. 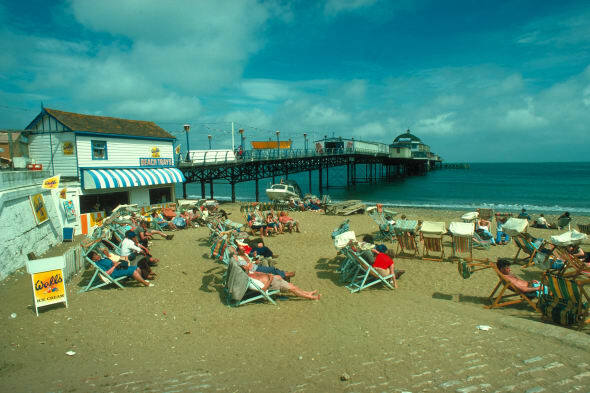 The Weather Channel's Leon Brown tells us the "sunniest places tend to be the south coast around the Isle of Wight to Eastbourne with 16 hours of sunshine in mid-summer." Not bad, eh? Leon adds: "Sometimes the Channels Islands are sunnier, plus in the spring the Western Isles of Scotland can be the sunniest." Yuma in Arizona is the sunniest place in the world, according to Guinness World Records. The city enjoys sunshine 91 per cent of daylight hours and a mean of 4,055 hours per year. Yuma is also the sunniest city in America, as well as the driest and the least humid. The average rainfall is around three inches a year, but despite having the most sunshine, Yuma is not the hottest place in America and is beaten by Miami and Key West in Florida.